Traffic safety and pedestrian access were your main concerns. Before 2004 heavily-laden quarry trucks roared through the village and walking around Beach Road meant dodging between cars on a crumbly road edge. Residents wanted a safe, vibrant walkway around the coastline and safe roads and footpaths for everyone. 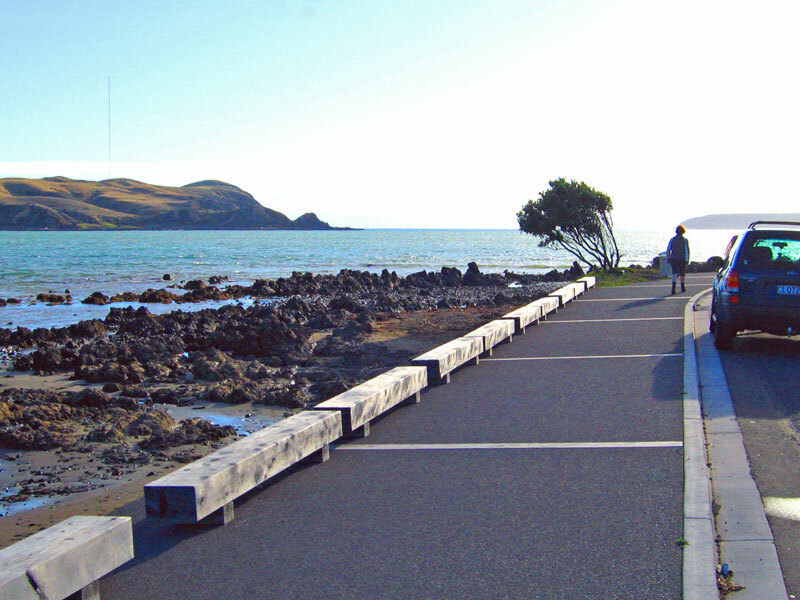 Traffic-calming measures were introduced which enabled building of the macrocarpa promenade around Beach Road and the paved area known as café corner.